Chain's Code is an instant number game with a new approach to provable fairness where you need to hit a winning combination. The game is similar to a classic slot machine using Mersenne Twister – a fast random number generator (RNG) which forms the combination. The better the combination is, the bigger the prize!! Roll a switcher at the top of the game panel to select the convenient betting currency. 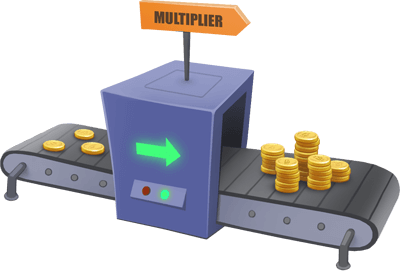 Use the multiplier to increase or decrease your bet for up to x100 by clicking on the + or - buttons accordingly. In this case, the bet price changes proportionally to the multiplier. The higher the bet, the bigger the winning! You can see the bets and winning combinations ratio in the table. To deposit on your True Flip balance you may use BTC, ETH, LTC, DASH, BCH or DOGE. 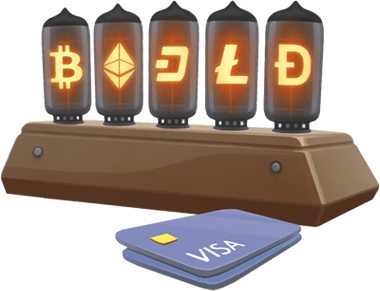 You may also use services available on our website to buy cryptocurrencies, including direct payments with VISA and MasterCard. For your convenience you may also deposit any currency using your VISA or MasterCard — in this case your deposit will be converted into EUR. Click Play to place a bet: the bet amount will be debited from your balance and the combination will be formed within a few seconds. 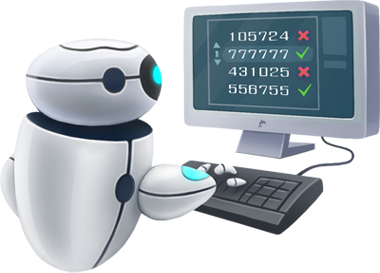 If the generated number sequence has one of the combinations shown in the table – you win! Your balance will be automatically refilled with the winning amount. No time to play yourself? Use the automatic bet function and the system will do up to 100 spins at your choice! 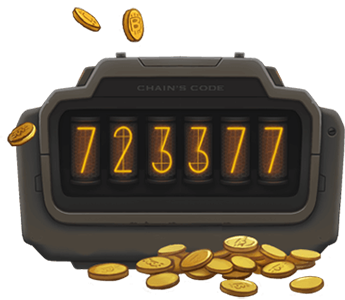 Chain's Code is based on an officially certified RNG, which can be checked by any player at any time. To do that you need to go to Check transparency page and fill out the required info. Play fair games only, where you can be 100% sure of the transparency of the results and become the next proud owner of the amazing 25 BTC superprize!